My name is Arnold Weaver. I’m 35, have a wife and three children and I’m a professional auto mechanic in Walla Walla, WA. 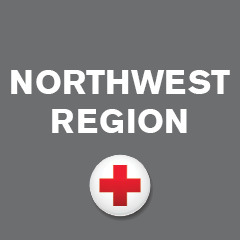 I joined Red Cross with the vision of being able to give back to the community I live in. It can be difficult to find a volunteer program that works with both my job and family life. The Red Cross has been great that way. I get emails whenever there is an activity like hosting a booth at a show or helping in a shelter. I can volunteer at times that work with my schedule so it’s really easy to get involved! I’ve been a volunteer for about six months now, have helped with several promotional/educational events, and worked in a shelter that welcomed around 14 apartment fire victims. It’s been an awesome experience so far and I’ve met a lot of good people! In the future I hope to continue working in emergency shelters and hopefully expand my experience and training to be able to help with blood drives. whoah this weblog is fantastic i really like reading your articles. Keep up the good work! You recognize, a lot of individuals are searching around for this info, you could aid them greatly.